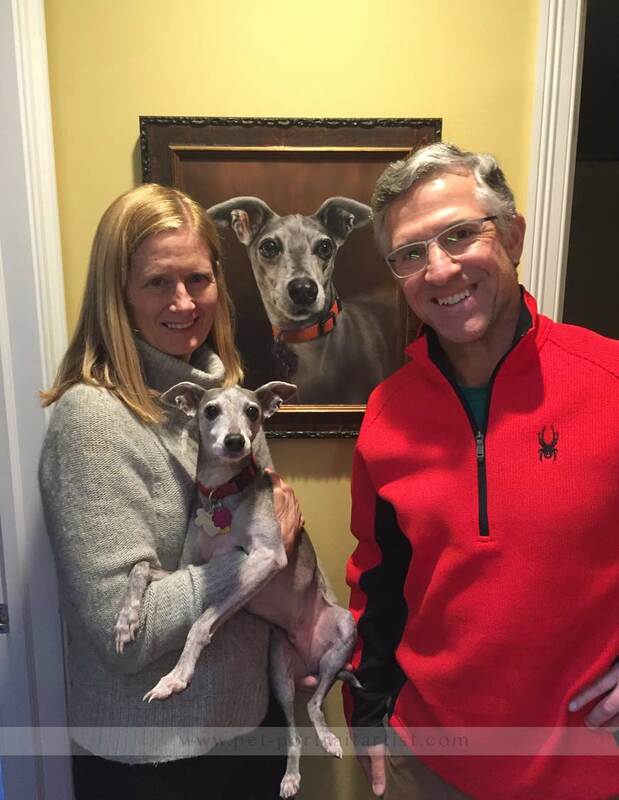 Karen and her husband Alan commissioned an oil painting of their beautiful Italian Greyhound called Spyder and they sent us an amazing photo of them with Spyder and their portrait too! You can read the full testimonial and see more photos of Spyder and his portrait on his Italian Greyhound Pet portraits page on our dedicated dog portraits website. We also love the frame that Karen and her husband chose for the painting. Isn’t it beautiful! 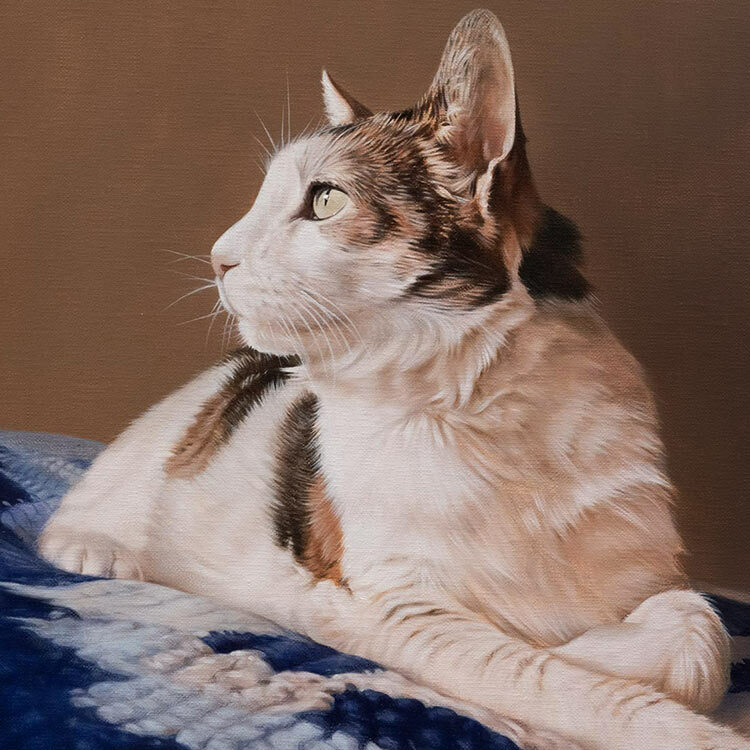 The oil painting was a 16 x 16 inches portrait, traditionally hand painted by Nicholas in 2018. Thank you for sending the link. We love Spyder’s blog post! When looking at it, it occurred to me that you might not know what “kind” of dog Spyder is because it would be hard to tell from his picture......he is an Italian Greyhound. That means he is 16 pounds of attitude! Italian Greyhounds were the dogs of Italian royalty in the 17th century, and Spyder is quite aware of that - we call him H.R.H. But he is also the snuggliest dog you could ever want! 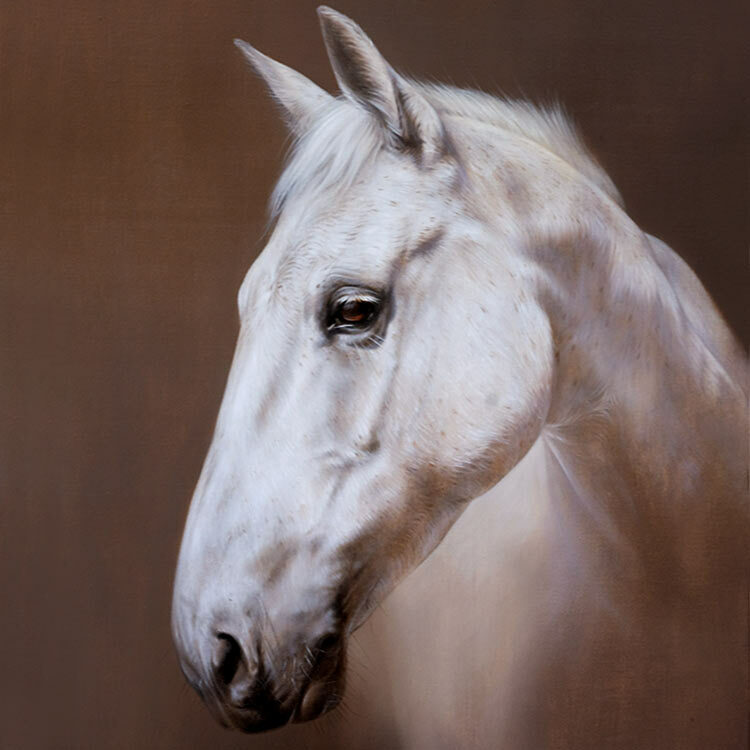 We got a notice that his portrait should arrive on Wednesday. We can’t wait to get it, and I will be sure to let you know when it has safely arrived.